Join All Slots Casino and bring Vegas home with a free £33 bonus — as seen on TV in the UK. The £33 bonus is available instantly upon opening your casino account — no deposit required. The “Bring Vegas Home” TV advert for the All Slots Casino “£33 Free” promotion has gone viral. It’s a hilarious advert for an online casino promotion. This is the TV advertisement for the All Slots Casino “£33 Free” promotion that has gone viral! The theme of the advert is “Bring Vegas Home” and it depicts, in a humorous way, the glamour and glitter of a Las Vegas Casino appearing like magic in the home of an ordinary English couple as they each play All Slots online casino games: he on his laptop, she on her mobile phone. The wife’s ordinary cup of coffee becomes a glass of sparkling champagne, the husband is served his drink by an exotic Vegas showgirl, and by the end of the 30-second advert both partners have been transformed into glittery star-studded Las Vegas dancers accompanied, naturally, by their white striped tiger. It’s a fantastic depiction of an ordinary couple that literally “bring Vegas home” with All Slots. Behind all the humour in the advertisement is a serious and very enticing offer from All Slots Casino: £33 Free upon registration. That means you don’t have to deposit a single penny of your own money and the casino will give you 33 pounds free to start gambling with. 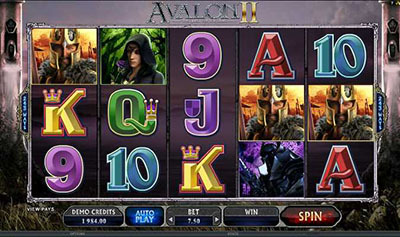 You can use the 33 free pounds to play any of the hundreds of casino games offered by All Slots on your computer, tablet, or mobile device. And once you have completed the casino’s play-through requirement, you can withdraw up to £300 of your winnings in real cash money. 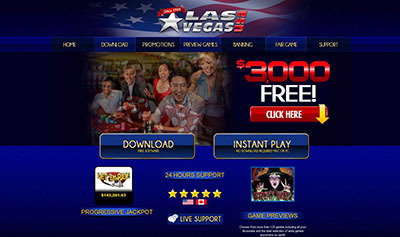 £33 Free is a great casino promotion and Bring Vegas Home is a fantastic TV advertisement. Enjoy the video, and enjoy great real-money online casino gambling with your £33 free from All Slots.